Not that many years ago, I didn’t give all that much thought to run coaching. When I did think about it, it was only as a thing for elites and professionals, runners who are striving to win their age group or trying to qualify for Boston. But that was before I started this blog. Before I started coming into contact with so many different runners, with so many different goals. 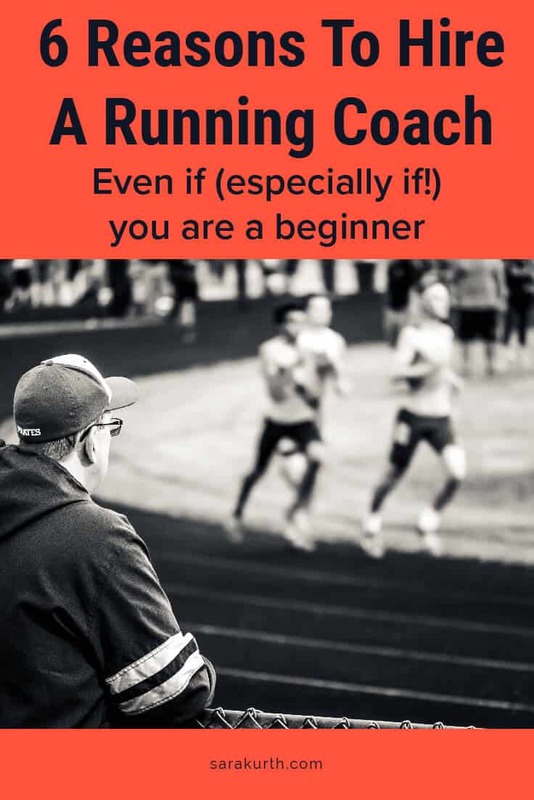 Before I really dug into the world of running blogs, running-related Pinterest posts, and the million other things out there offering all sorts of information (much of it conflicting, if not flat-out wrong) about how to run and how to train. The more information I come across, the more I see the benefits of having a coach by your side. I believe runners of all experience and skill levels can benefit from working with a coach, be it in person or online. Regardless of your goals, or if (especially if) you don’t know what your goals are, a running coach can help. Note: I am certified running coach who has an online coaching business, so I’d be lying if I said there wasn’t a little bit of self-promotional interest in this post (seriously, consider me if you are looking for a coach). Even if I’m not the right coach for you, it’s worth considering the idea of a running coach. Just be sure whoever you hire is trained, experienced, and qualified. Setting good goals is an art. Your goals need to be challenging, but realistic. They need to take some time and effort to accomplish, but if they take too much time, and too much effort, you may lose interest or become disheartened. And in many cases, setting the goal is the easy part – then you need to make a (realistic) plan to get there and set up intermediate goals to ensure you stay on track. A good coach is interested in, and cares about, your success, but they are not as invested in what specific form that success takes. While you may get caught up in a specific goal, be it a specific race or pace, a coach can provide a more neutral view on what goal(s) and what timeframe(s) are realistic for you. There is no shortage of training plans available, for free, online. A quick Google search for ‘marathon training plan’ produces 376,000,000 results (seriously, I just did it). And honestly, many of those plans will get you to the finish line. But you are you. You have your quirks and your preferences. Workouts you love-to-hate and workouts simply hate-hate. A coach will create a plan that will account for YOU. Maybe you want to do long runs on Wednesday, won’t do track work, like cross-training, and won’t miss your Friday morning barre class for anything. I dare you to find that training plan on Google. When a plan suits you and your preferences, you’re more likely to do the workouts, you’ll enjoy the process more, and you’ll likely be more successful. Coaches can help you adjust your training plan, if and when it becomes necessary. They can look at how you’re responding to training and adjust accordingly. Loving the speed work? Add in some more! Long runs not working for you on Saturday? A coach can move them to a time where they’ll fit better into your life. All while making sure you’re still prepared for your event, and not over (or under) training. A good coach will know when to push you harder, and when to reign you in to prevent injury or burn out. There’s no shortage of running information out there. I’m responsible for some of it myself (#sorrynotsorry). Much of that information is contradictory. A good coach will know what works, and what doesn’t work, in training. They’ll also know that what falls into what category varies by runner. If you are confused by all the contradictory information floating around out there, or if you hate (or are tired of) researching endless websites, a coach may be a good solution. We know running and love running. We have our own experiences to draw from. Many of us (like me) enjoy digging through piles of information. If I’m asked something I don’t know (which happens, I know a lot, but I don’t know everything), there is nothing I love more than digging through dozens of (reputable) sources to get the answer. Some people respond to carrots, others respond to sticks. A good coach will figure out which you respond to and will act accordingly. Not everyone wants a cheerleader. I had a work friend who wanted to quit smoking. She enlisted me to ‘harass her’ (her words) if she slipped up and I saw her outside on a smoke break (she said not smoking was her reward, she didn’t need my praise). I’ll admit it felt odd for me, but she knew she would respond better if she was trying to avoid my harassment (again, her words). Who am I to question her preferred motivational drives? A coach will work with what works best for you. During my marathon training cycles, I write weekly recap posts. Even if no one will read those words but me, those are hard words to write. Coaches have a similar impact. It can be hard to tell a coach you didn’t run because of insert some lame excuse here. Somedays it will just be easier to do the run than to come up with a legit (sounding) reason why you didn’t do it. Good coaches will also know the difference between good reasons for a missed run and a bad excuse. After all, life happens and running plans may have to change (see Plan Personalization, Part 2 above). What about you? Have you ever worked with a running coach? What were the benefits for you?